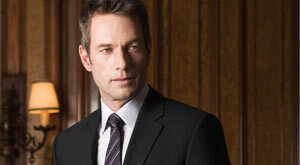 Offer your customers something special and keep them coming back with expert tailor service! 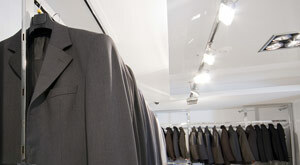 Our commercial tailoring service makes it easy to offer many of the benefits of an on-site tailor without the expense. 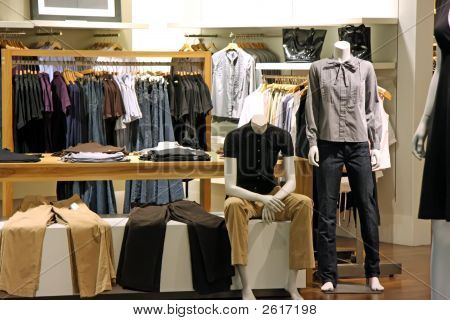 Now you can offer your customers a limited menu of clothing alteration services. We can setup a custom program and pickup and delivery schedule for your store. Please contact Frank directly for further information. 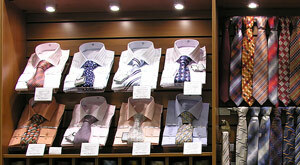 Shirts, Pants, Jeans, Suits, Sport Coats, Cuffs, Buttons, Zippers, etc. 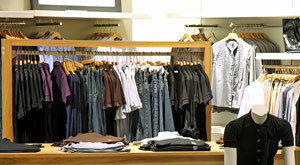 Tops, Skirts, Dresses, Pants, Jeans, Jackets, Buttons, Zippers, etc. Frank will help you pick a great new look from a wide catalog of styles. Alterations are complimentary with your clothing purchase. Great fitting clothes for a great day! Wedding gowns, bridal dresses, and tuxedos. 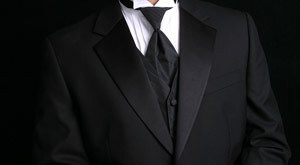 We sell Tuxedos and men's clothing from fine brands like S. Cohen. Of course, alterations are included for a James Bond fit. 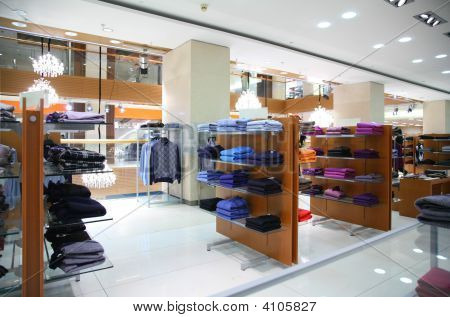 Tailoring service for retail stores and commercial clients. Frank shops a wide catalog of men's clothes, complete with a perfect fit. 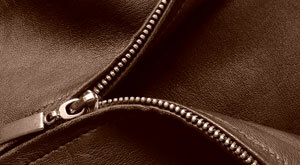 Professional clean and repair of leather, suede, fur apparel. 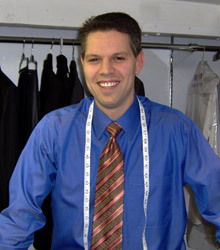 Frank has been in the tailoring business for more than 18 years. He honed his tailoring skills at the Clarissa School of Fashion Design of Pittsburgh and apprenticed with Carmen the Tailor of Monroeville, where he worked for 8 years. Frank opened his own tailoring shop in Robinson Township in 2000. He has transitioned to a home-based business so that he can be a stay-at-home dad for Vincent and Linnea.